It's started getting cooler at night lately, and darker earlier. I'm excited for Autumn but I love this in between stage of Summer stretching itself out that little bit longer. The skies are still blue and it's warm enough for bare feet during the day but the quilt on our bed gets unfolded in the evening. 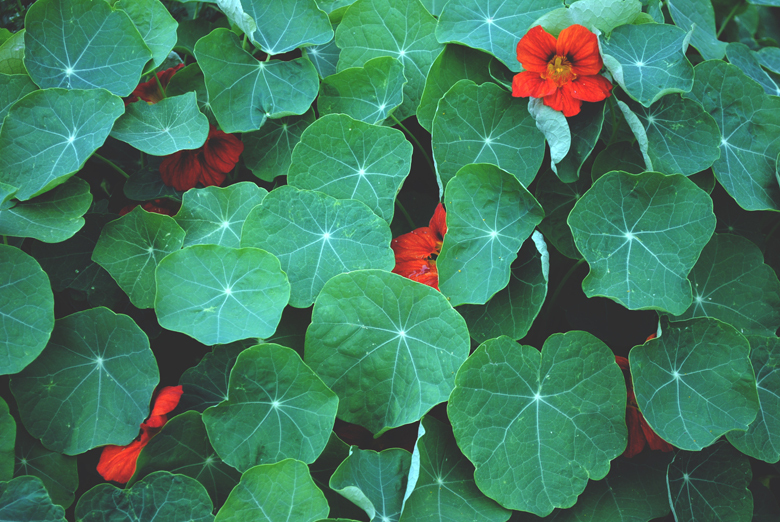 I'm trying to soak up the garden while it's still full and lush (and a bit wild), and I love that those nasturtium leaves look like little stars. I've decided that Watercolours is the best music for this season change. We've been tucked away in the studio a lot lately and it's the perfect soundtrack. I'm kicking myself for not going to see her and Cat Power while they were on tour here. Dream team! Here's a favourite of hers that feels cool and warm to me, just like the end of February. What are you listening to at the moment? 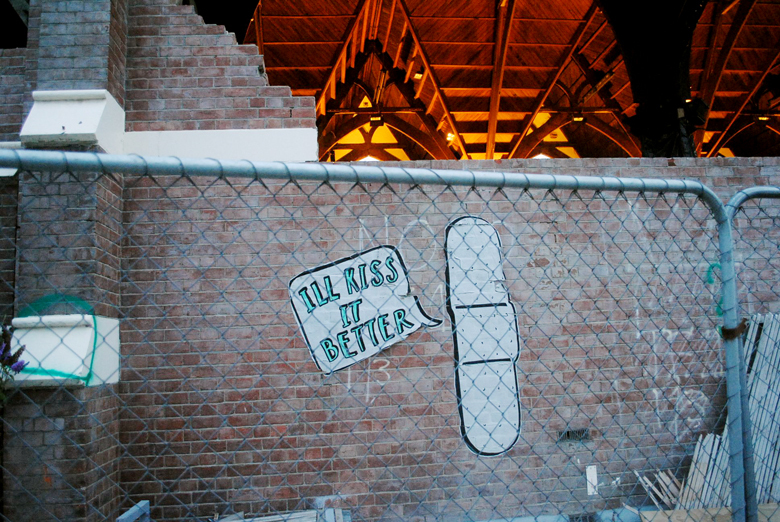 Today marks the two year anniversary of the Christchurch earthquake. I was looking through the photos of our recent trip and was reminded of the first one up there, that seemed perfect for today. 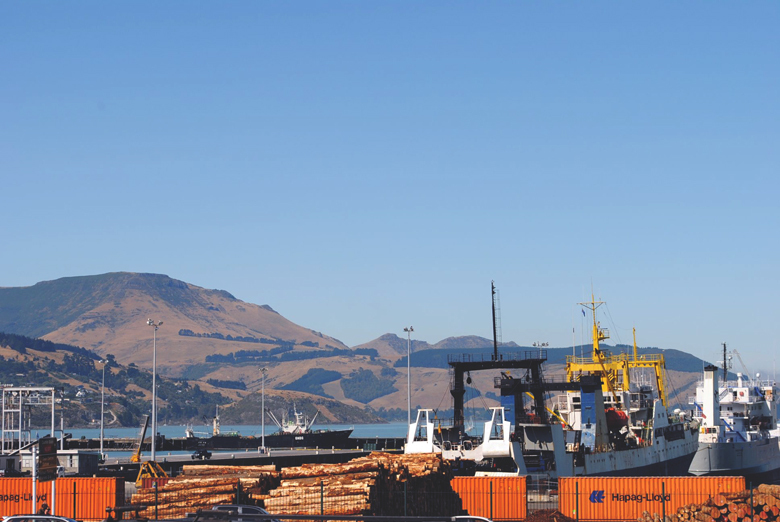 It wasn't until writing this post that I realised that meant it was also just a little over two years since returning to New Zealand from Vancouver, on our way to Lyttelton. Kate and Chris took us out there for a visit and while it was still really lovely, there was a sadness in that I had never managed to see it in it's full pre-quake, historic glory. Despite the inspiration of the creativity and community that was risen out of the damage the earthquake left, I can only begin to imagine how difficult today must be for many of those from or with ties to the city. I'm really excited for it's future, but for today think about those who are mourning a mountain of loss. Nina Simone always manages to work her way back into my playlist every couple of weeks (or days, really). Her music has that perfect mix of rich texture, soul and groove to either cry or dance to. She was an incredible woman, often outspoken, stubborn and difficult. Or at least, being a woman who did whatever she wanted to do meant being labeled difficult. She's not often smiling in photos of her that I've seen, which makes this photo all the more intriguing but it always made me think about why it's unnerving or why I see her as so stern and a little scary in watching her performances. It made me think of this poster and how much being told to smile makes me insane. 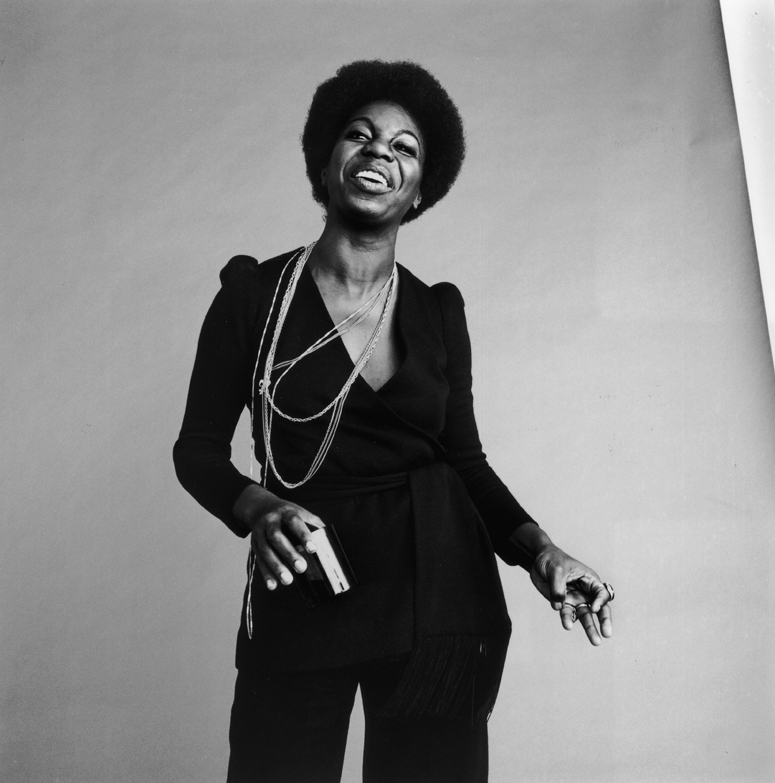 I love to smile and I love to laugh, and what's so beautiful about the photo of Nina Simone above is that it looks like such a geniune expression of emotion. She's not smiling because that's what female performers (or females performing) are meant to do. It's hard for me to pick a favourite Nina song, but this one came up when I was looking for quote inspiration recently and I can't get enough of it. Despite the songs being originally from Hair (which a Rolling Stone record guide described as what straight people thought the 60s were like) she totally kills this cover and manages to make it completely non-cheesy. Empowering, even. Hope this gets your week off to a chair dancing start! Top image from here. I've been trying to find who shot this photoshoot originally but haven't had any luck. If you know, please let me know! 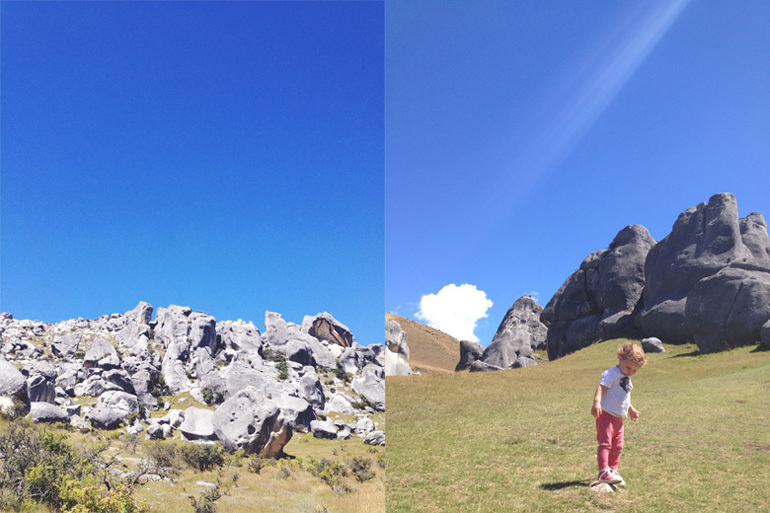 We've spent the past 5 days having the best time in Christchurch with some dear friends. One of those days was spent at Castle Hill, and naturally it was so beautiful that my camera thought that would be the best time for the battery to run out (may also have had something to do with my leaving it turned on in my bag...). My iPhone did the trick pretty well though so I'll share a few more photos during the week. It is an incredible place, with massive limestone boulders seemingly having been pushed up from the earth creating these amazing natural statues. As you can see by the colour of that sky, our day there was pretty perfect. Richard and I are both starting new jobs in the coming weeks, so the timing of this trip (an impulse buy when the seat sale landed in my inbox) was fantastic. It always feels so good to be with people who truly feel like 'your people' and friends that are really more like family. It was quite surreal being in Christchurch for the first time since the earthquake, it was emotional, surprising and inspiring. 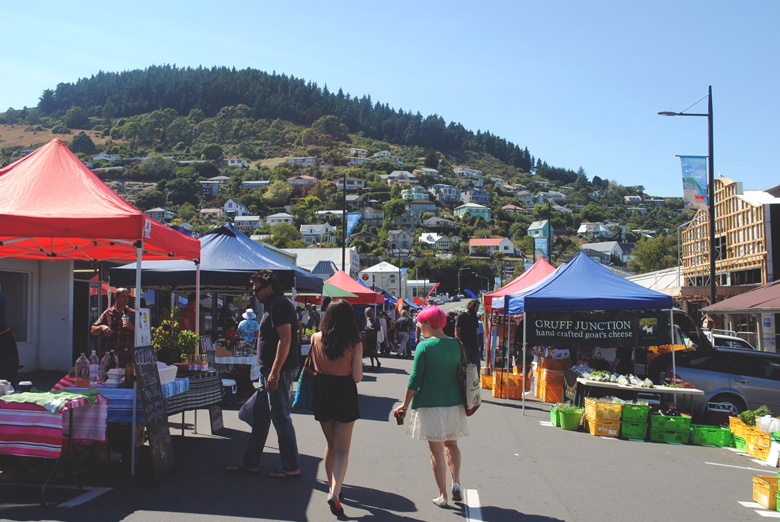 Every day that we were there we saw beauty in both the Cantebury landscape and the response of the Christchurch people to the massive change in their cityscape. I took many, many photos so forgive me if there's a bit of a theme for the next few blog posts. I'm pretty sure you'll love it, though. For now, here's a few bits and pieces that I've enjoyed in the past couple weeks. - The Forgotten 1950's Girl Gang - I loved reading about Teddy Girls in 1950's Britain, a group that I had no idea even existed up until today. The photos are amazing, as is the fusion of Edwardian and American rock 'n roll fashion. - Helen wrote this great post about time and writing and a bit about grief and it has been stuck in my mind ever since reading it a couple of weeks ago. I really like the way Helen writes, I identified with what she was talking about and felt a bit challenged but without it being a challenge if that makes any sense. - As a teacher I always love reading about fellow teachers and how they're expanding on the traditional role of the classroom/subject teacher to approach it from a more social standpoint. This list of favourite feminist celebrities from teenage girls made me so happy. - UGUiSU. I want everything from this store! - A line of feminist rock 'n roll candy bars is something I could completely get behind. Cinnamon Girl! Yes please. Someone please make the Monkberry Moon Delight bar a reality! Have you read or seen anything great recently?